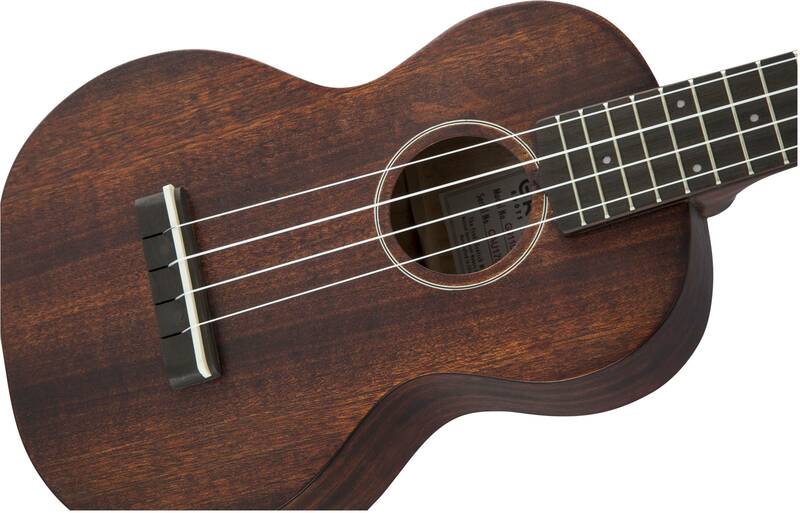 Featured worldwide in popular music of all styles, the ukulele has experienced a phenomenal resurgence in recent years. At the request of Gretsch fans, we reintroduced a selection of our classic uke best sellers offering unparalleled tone and quality at sensational low prices. 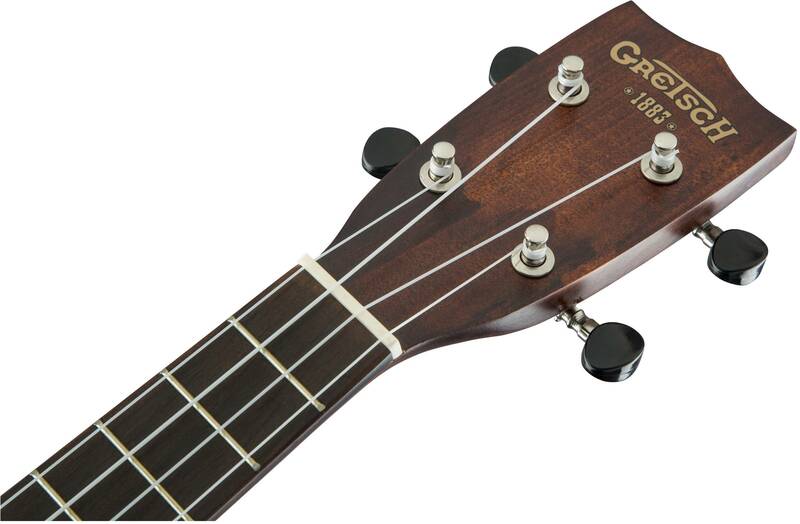 The G9110 Concert Standard features a 15” scale length, mahogany top, back and sides, mahogany neck and ovangkol fingerboard with 16 frets (12 to body). The G9110 also has an ovangkol bridge, bone nut and saddle, open-back geared tuners, Aquila® Nylgut® strings and comes in a fitted gig bag. 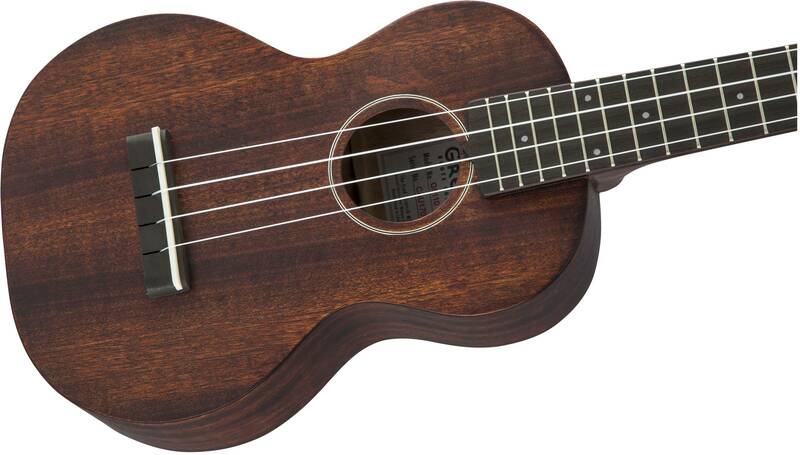 Available in Vintage Mahogany Stain, this beautiful uke has an "open pore" semi-gloss finish for an organic look and vibe. Whether you're a beginner or a pro, we can help you realise your potential with our innovative rental program. Rentals are provided by The Polygon Group Pty Ltd ABN 98 066 641 325 Australian Credit License No. 412456, Australia's foremost and largest rental provider of musical instruments and products. The Polygon Group is a strategic partner of Fender Music Australia Pty Ltd ABN 34 613 081 19. While your contract is a rental contract, you can make us an offer to purchase at any time. (purchases are subject to approval and conditions apply). The prices referred to above are given as a guide. Please contact us for more details.